Warren Brush is a global resilience design consultant, educator, lecturer and storyteller. He has worked for over 25 years in education and regenerative systems design for communities, private and public organisations, households, farms, and conservation properties worldwide. 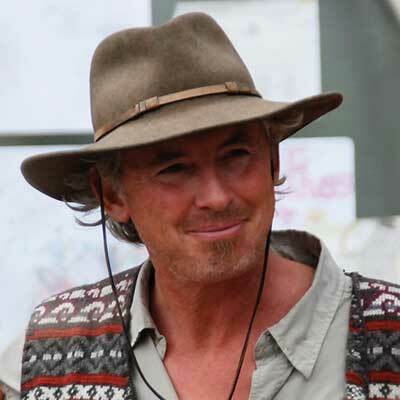 He is co-founder of Quail Springs Permaculture, Regenerative Earth, Sustainable Vocations, Wilderness Youth Project, Casitas Valley Farm, True Nature Design and is an advising founder of the Permaculture Research Institute of Kenya. He is a part of USAID’s TOPS (Technical, Operations, Performance Support) program where he trains technical field staff, for their African Food for Peace programs, in a Resilience Design Framework. I am honored to be a part of the team of people who will help determine how the LUSH SPRING PRIZES will be allotted to those people, businesses and organizations who are innovating to create a more equitable world.